This is a past event. Thank you for coming! 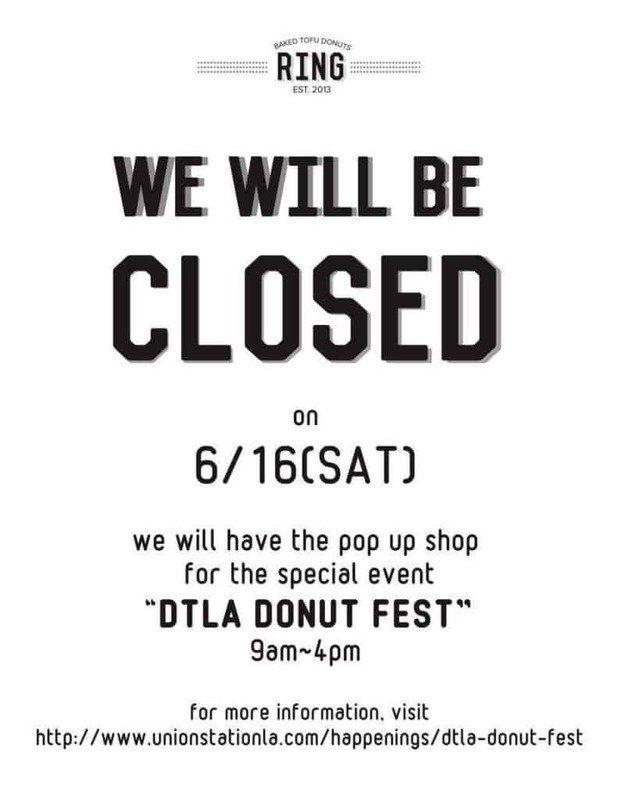 We are happy to announce that our baked tofu donuts will be included DTLA Donut Fest. The event will held at Los Angeles Union Station South Patio. It starts 9:00 am and you can enjoy our donuts as well as other great donuts from all over Los Angeles till 4pm. Visit Union Station’s webpage for more details. Time: 9:oo a.m. – 4:00 p.m.